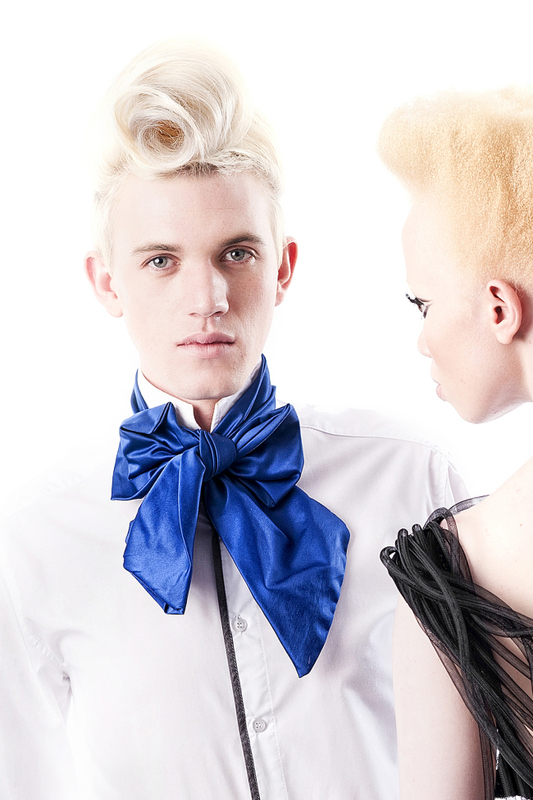 I am so proud of Gert Johan Coetzee. It was such a privilege to have him stay with me last season when he came to Vancouver to show at Vancouver Fashion Week. As I spent time with him, it quickly became obvious how seriously this talented fashion designer takes his fame. There is always a side of him looking to make a difference in the world. One example was when he chose Thando Hopa - a female lawyer and albino - to be the face of his collection. Albinos tends to face a lot of discrimination in South Africa, so it was a strong statement that beauty is found in our uniqueness.The fact she was also an highly educated, strong woman was the icing on the cake.What a great role model to hold up for young girls. I was intrigued and a little confused to note that from April 11-15 South African Fashion Week showcased Spring/Summer '13 collections. Other fashion weeks usually show Fall/Winter lines now. This is a change I have heard promoted quite a bit lately, as fashion weeks are no longer seen by just buyers and media. Now that consumers are watching, they want quick access to what they see on the runway - not a 6 month wait. I would be interested in knowing more about the story on how this event made the change - or if they have always shown in this format. While I haven't had a chance yet to talk personally with Coetzee, I was able to learn from another interview posted on the web that the spiky designs in his latest collection were created to raise awareness for the victims of gender violence and child abuse. They were inspired by the delicate, graceful sea urchin - a creature that would be defenseless except for his spikes. Coetzee shared, "There has been so much violence against women in the news this year...I starting thinking - imagine clothes that could become an armour to protect the defenseless." WOW! Coetzee loves pushing the envelope. This season he collaborated with Vaal University of Technology to create his impossible geometric shapes using cutting edge 3-D printing technology, and he is excited about the results. "I have gone for a wearable collection that recalls the sixties and seventies in terms of design, but enhanced with some really fantastical elements." While some of these designs can move right into the boutiques, several of the more conceptual designs will be modified slightly for the ready-to-wear market. 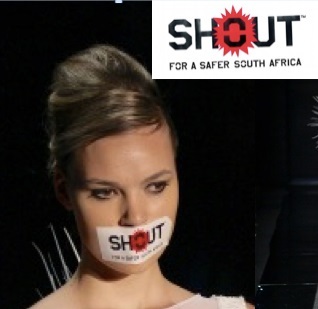 Coetzee has also paired up with SHOUT SA (whose message is to stand up and not be silent any longer) and PROJECT DIGNITY (a KwaZulu Natal-based initiative) to investigate ways to raise money including donating a percentage of sales on certain GJC garments. One current focus is to find a way to provide washable sanitary protection for rural girls. I had heard before many of these young girls end up missing school because they have nothing effective to wear during their periods. With fame comes power to effect change in the world and Gert Johan Coetzee is one designer who does his best to honour this privilege. To learn more about his designs, his charity work or to contact the designer, check out his website at http://www.gertjohancoetzee.com or his facebook page at https://www.facebook.com/pages/Gert-Johan-Coetzee-PtyLtd/154993784527159?fref=ts. Want to watch his SA Fashion Week show? Check out the Youtube video below.